In-service training is the kernel for the professional growth of teachers. 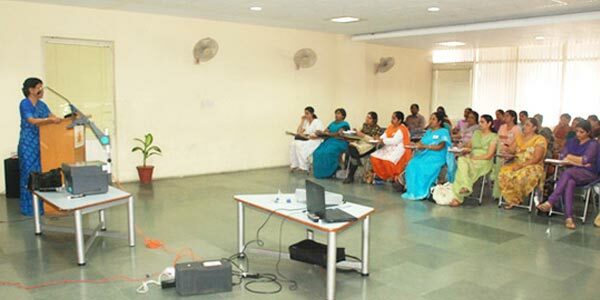 The teachers are kept abreast of the latest techniques and methodologies in the field of education through intensive in-service training programmes. These programmes are a continuous affair spread out through the year. The workshops range from those focusing on personal and professional growth, class-room management, subject specific workshops and those related with child psychology. To make the most of our resources, workshops are conducted at regular intervals by the heads of school and various departmental heads. Whenever any faculty member attends any workshop outside school, she shares her knowledge with her colleagues by conducting a workshop for them. Not only this, our teachers present book-reviews in the staff-meetings. This exercise promotes their intellectual growth.